A coaches we must decide when planning training how much to focus on team elements vs. individual skill work. 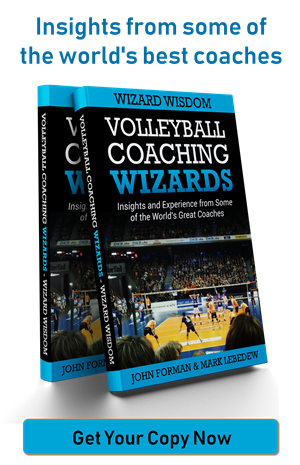 It’s part of the priority setting I talked about as a foundational part of our jobs (The decision to feature starters vs. non-starters in scrimmage games is also part of this discussion at a more micro level, as discussed in the second Volleyball Coaching Wizards book). If you want your team to develop at it’s optimal rate you need to get the balance right. What’s the advantage of a team focus? Quite simply, it’s to get the players working better together. This is a major focus on what Mark Lebedew talks about in this blog post. In it he shares his philosophy of developing the team concept of play through training focus. If you look at the outline in that post you’ll see a focus on group development – reading as a unit, team tactics, etc. Nowhere does it talk about improving individual player skills. In contrast, the advantage of focusing our training attention on the players rather than the team is – we hope – more rapid individual skill development. Rather than focusing on collective actions, here attention is aimed at skill execution. We aren’t worried about what’s happening at the team level. So is it more important to work on team elements or individual skills? That depends entirely on your situation. This is where coaching is more art than science. You have to figure out what’s best for your team at a given point in time. Mark has the advantage of working with professional level players. That means his main focus is almost always on the team side of things. Does that mean no individual work? Of course not. It’s just not the dominant feature. A youth coach is in an entirely different situation. At that level skill development tends to be a much bigger factor, especially as you shift toward the younger age groups. Yes, you absolutely have to teach them team elements. They need to understand the structure of play and how the various skills contribute to it. At the same time, though, it can very easily be the case that improving individual skills will do more to raise the level of the team’s collective play than working on tactics. At the college level you have a different balance. Players are often well-skilled, which tends to lead things down the path of more team-oriented work. Sometimes, though, player technical limitations constrain the development of team elements or limit its potential. Plus, younger players tend not to be as skilled as upperclassmen. So you can’t put individual work entirely to the side. Finding the balance between team and player is the key. And that balance comes down to your situation. The aims of your organization definitely factor in here (i.e. developmental vs. competitive). Beyond that, what level is your team (age and skill)? What part of the season are you in? When’s your next match or tournament? 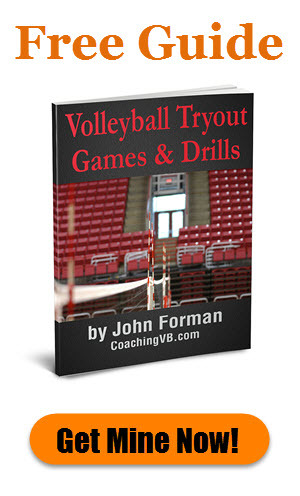 Do you only have some players in practice, or do you have everyone? You can probably think of other considerations. And it often gets more granular than that. Broadly speaking, you’re trying to think in terms of working on the thing that will have the biggest impact on your team’s performance. That might be something team focused, such as improving your sideout percentage from serve receive. There are a number of individual level technical elements that could be holding the team back – poor passing, erratic setting, lack of attacking prowess. 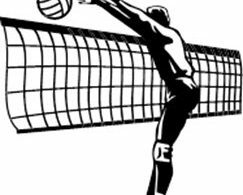 Or, it could be more of a coordination question, such as dealing with serves into seams, getting the setter closer to target, or moving the hitters around into a better configuration. The point is, you need to identify your current area of biggest developmental need, potentially drill down to root cause (or biggest impact factor), and prioritize that in your work. Having talked about wanting to put a bigger focus on either team or individual work, I should make something clear. I’m not saying it should be an entirely either/or kind of thing. Chances are you’ll very rarely just work on one side and not the other. There’s almost always some game element you’d like to see your team improve at and I haven’t found many coaches who don’t think their players could be better at individual skills. What I’m talking about is prioritizing your time and attention on whatever is likely to move the team ahead fastest. You can skill work on other, lesser priorities. Just given them less focus than the main one. In fact, you can work on multiple things at the same time in many instances – including mixing individual and team elements. Here’s an example. 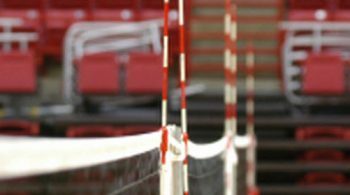 Say you’re working with your middle hitters on improving their transition footwork. 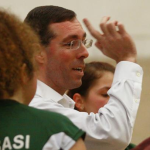 Chances are you’re going to have at least a setter involved at some point. That automatically makes it a team exercise as well as an individual one. You may only focus your feedback on the hitter’s footwork, but the two positions are also working to coordinate their efforts into a better collective outcome. And you could even add in some other feedback mechanism such as delayed video to help the setter(s). This sort of blending is how you can be really efficient with your practices and get a lot done.